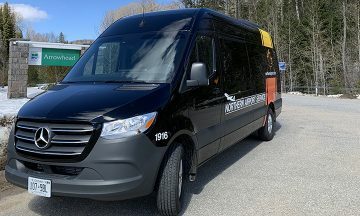 We have departure and return points between North Bay and Gravenhurst to and from Pearson International and airport hotels. 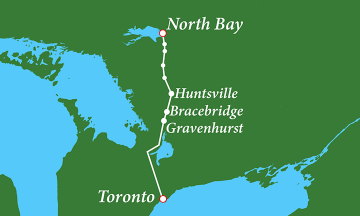 We offer service to multiple locations between North Bay and Gravenhurst, along with Pearson, twice daily. View those cities here. Whether you are taking a quick weekend trip, or you need to go and return on the same day, we have discounts for you! 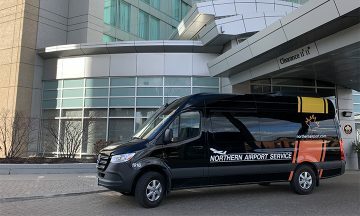 Just steps away from connections to favourite destinations such as to downtown Toronto via UP Express, Hamilton, Niagara, Guelph, London etc..
Not only do we pick up and drop off at Pearson, we also service over 20 hotels in the direct airport area at no extra charge.